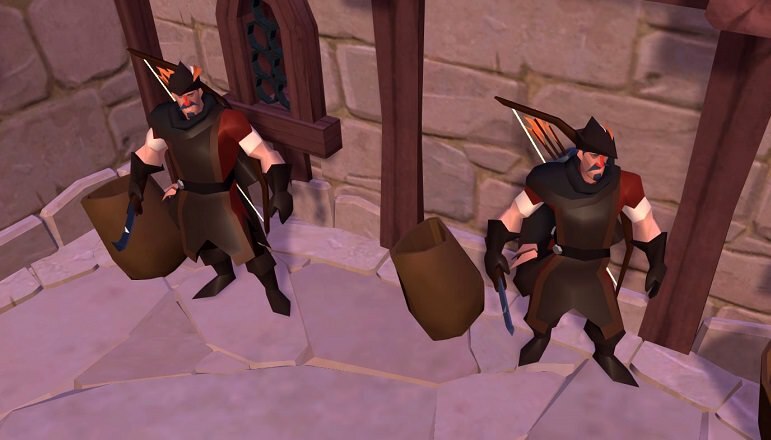 Learn how to use laborers to up your gathering, crafting, and money-making game. Once again we meet, adventurer, with you seeking more knowledge, and me willing to pass what I know – for the price of a flagon of ale, of course. So you want to know about laborers and how they can work for you? Then procure the ale and take up a chair, for there is much to talk about and mistakes are easily made. 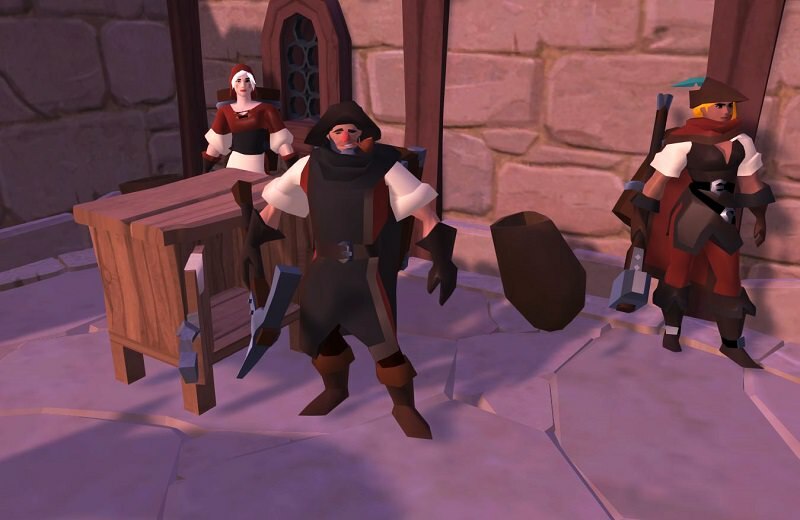 Laborers in Albion Online fulfill a vital role. While the resources they provide may not seem plentiful compared to the setup costs, they more than pay for themselves in the long term. In this guide we will talk about how to set up your first laborer house (or Guild Hall - See FAQ at the end) and give you enough information to plan your own island network. Everyone has different requirements and expectations from their laborers, from a few extra materials to refine or sell to a global business empire of mass production. The trick is to build correctly for your needs from the start, and to always have your long-term goals clear. For this guide we will work with a level 4 personal island with 6 normal spaces, 2 small spaces, and 3 farm plots. The initial setup and purchasing cost for this level of island is approximately 350,000 Silver in the current economy. 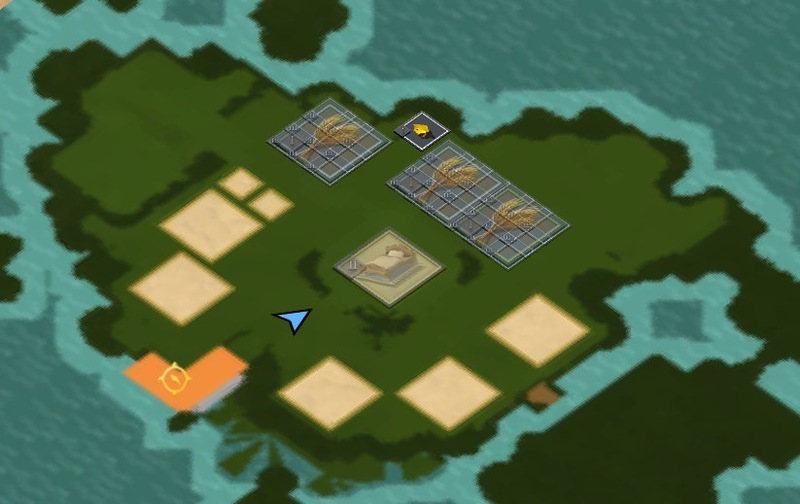 Long-term, if you want a house for each laborer type, you will need a level 6 island with 11 housing spaces, but that can wait. It is entirely possible to run a great yet modest laborer operation from a level 2 or 3 island, so do not be put off – the sooner you start, the easier it becomes. Bear in mind, though, that your laborers do not like to move from house to house, so initial placement is key and should form the base of your long-term plan, lest you be forced to delete already trained laborers! Looking at the image above, we have a small Tier 2 building in the center plot, with a few chests to hold our building equipment while we work. We have 2 small plots which we will not be using in this guide, 3 farm plots, and, most importantly, 5 spaces in which we can build the houses where our laborers will live and work. A Tier 5 house allows you to employ 3 laborers, the maximum number you can employ per house (Tier 4 and below allow only 1-2 per house). A Tier 5 house already has the maximum house footprint, so your placement will not need to be amended after the initial setup. You will not incur additional expenses for lower-tier furniture and trophies if you build your house to Tier 5 right away. Note that laborers are not tied to the tier of the house they live in, but their happiness levels will be affected if your house prevents you from providing the correct tier items to keep them happy. This can result in lower levels of returned materials, which will reduce your overall efficiency. Let's go ahead and build a Tier 5 house and furnish it with our 3 beds, table, and trophies. This is an ideal start for our laborers – who wouldn’t want to live in a property like this? Now we have a decision to make: which type of laborer should we choose? Whichever we choose, we will want to fill this house with the maximum number of laborers of that specific type that the house can support: all Croppers, all Tinkers, and so on. Let us examine the different types of laborers we can employ to work for us. Laborers fall into 3 categories: Gathering, Mercenary, and Crafting. All laborers accept Generalist Journals (like the three you hopefully filled while building your house). Each Gathering and Mercenary laborer also has their own special trophies, which again are in tiers and which add further happiness. If you provide a laborer with a filled trophy journal of their profession, they'll bring back trophies instead of resources. (We will discuss happiness shortly). For the purpose of this example, our character is a Skinner, so it makes sense for the 3 laborers in this house to be Gamekeepers. A quick visit to the house board near the front door will allow us to hire three Gamekeepers (one at at time) for a small fee. If we were interested in crafting leather items, we could also consider employing Crafting laborers to work hand-in-hand with our Gamekeepers for the next house we build. Please be aware that with the Merlyn update, the Royal cities (and the islands attached to them) received refining and crafting bonuses for specific item types. With these bonuses in mind, you can put the correct laborers in the correct locations for added synergy. Once you've acquired your laborers, they'll need 30 minutes to settle in. You can purchase Tier 2 profession journals from them during this time and fill them quickly if you need something to fill the time. After 30 minutes, go back and speak to the laborers, and give each of them a journal – either generalist or profession-specific. Either of these will raise our Tier 2 laborers to Tier 3 when they return after 22 hours. Laborer happiness is based on having sufficient beds, tables, and trophies for the quantity and tier of all laborers in a house. First off, happiness is not immediate: it will take your laborers 10 hours to reach the highest possible level of happiness in their current environment, so if you want to make sure you get the immediate raise to Tier 3 from the first journals, wait 10 hours for each to reach full happiness. Always have 1 Generalist Trophy of each tier in the house per 3 laborers. In houses, it is pointless to have more than one of each tier as they do not stack, but in Guild Halls this means you will need 1 trophy of each tier per 3 laborers. Add additional happiness by using profession-specific trophies for Gatherers and Mercenaries, and by using the Shark Trophy and Explorer's Spyglass if you can afford them. You should have one of each tier of Profession Trophy for every three laborers (in addition to Generalist Trophies) wherever possible. In each house or hall, you will always need one bed per laborer and one table per 4 laborers. Never go below these numbers, and when you upgrade the house to the next tier, place new furniture (matching the higher tier of the house) as quickly as possible. Journals require more Fame to fill as their tier increases. It is good practice to always have generalistic journals with you at all times, as filling them enables you to level your laborers incredibly quickly through the first few tiers. Once you get your laborers to T5+ you will start receiving resources that you can either sell for a large profit or use to craft, thereby filling more books and generating more refined resources. And if you want trophies that will raise your laborers' happiness, provide them with filled trophy journals for their profession and they'll return with trophies instead of resources. Note that all gathering journals can be filled by gathering materials up to 2 tiers above the tier of the journal. So you can fill a Tier 2 gathering journal by gathering up to Tier 4, a Tier 4 journal by gathering up to Tier 6, and so on. It is unlikely you would want to fill a Tier 4 journal by gathering Tier 6, but sometimes you might be short on journals or have trouble finding Tier 4 materials. It is also important to note that, for Crafting and Mercenary journals, you need to be crafting items or killing mobs of the correct tier to fill the book. Make sure you have the correct books with you at all times. You can fill gathering and generalist journals at the same time for additional efficiency, so take advantage of this whenever possible. The sheer enormity of what you can do with laborers can be overwhelming, so my advice is to start slow and have only enough houses to hold the laborers you can consistently fill journals for. Below is an FAQ which should cover most other intermediate questions regarding laborers. Which is better: guild halls / houses on guild islands, or houses on personal islands? It all comes down to a choice between the setup cost and restrictions when upgrading (for the former) versus the greater time needed to supply your laborers with journals (for the latter). 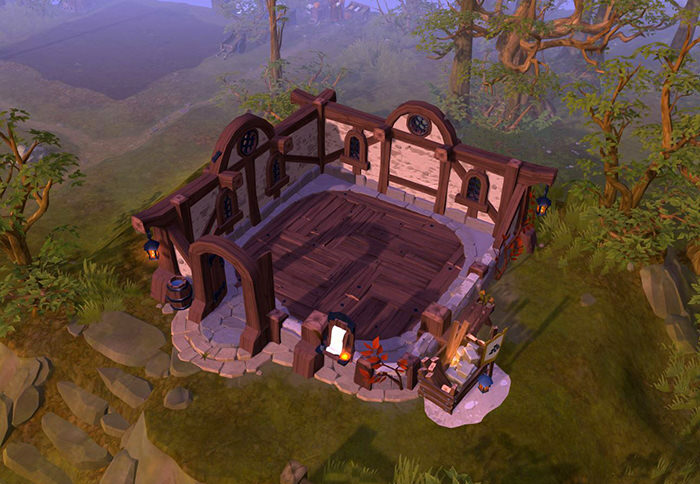 The cost to set up a Guild Hall for 15 laborers may be hard on new players or those with low in-game incomes. However, having your laborers in one place and not having to maintain multiple houses can be a great thing. You can build a T5 house first on a Guild Island and build the Guild Hall later. Don’t forget that alternate characters who have had 30 days premium have full island access, so you can put them in their own guild and make a guild island that your main character can access. I personally have 5 personal laborer islands all set up identically, but pick whichever option suits you best. Which is better: making profits from T5+ journals, or getting more essential resources from lower-level journals? It is almost certainly more financially viable to give your laborers T5+ journals. This allows you to sell these resources to buy lower tier resources and still make a small profit. I currently have 6 of each laborer on a 4/2 setup which uses 4 T2 books (filled by gathering T4 in the Black Zone) and 2 T3 books (filled by gathering T5 in the Black Zone). This yields me 90 refined T3 every 22 hours. More importantly, it means I don’t have to go to Blue Zones for lower tier resources, which is appealing to those wishing to live in the Black Zones. You mentioned the Shark Trophy and Explorer's Spyglass. What do they do? The Shark adds +10 happiness for all Fishing Laborers in a house, while the Spyglass adds +5 happiness to all laborer types in a house. 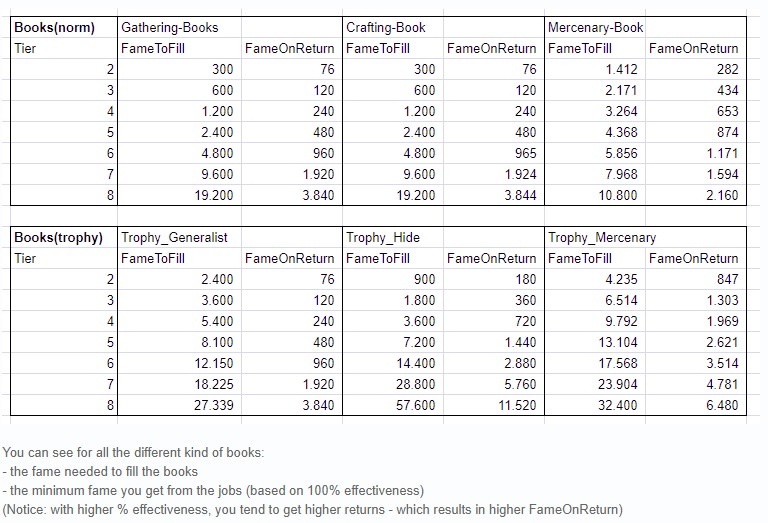 Do gathering bonuses and gathering enchanted resources fill journals faster? Any bonuses to Gathering Fame are transferred to your journals, so gathering enchanted resources will fill your journals very quickly indeed. With the Merlyn update there are 2 new red zones close to each Royal city with an increased rate of enchanted resources. These will be fiercely contested, but also an amazing source for filling journals quickly. How long will it take to get my Silver back from setting up a T5 laborer house? If you are diligent, provide your laborers with the correct journals each day (specific to their professions, not generalist journals), and level each laborer as soon as possible, then you should be at a break-even point within 14-21 days per T5 house. If you continue after that point using T5+ journals, you will then be in the pure profit zone, whether you sell the resources or craft with them. Don’t forget that happy laborers often bring back enchanted resources, both refined and unrefined, from Tier 4 and above. That's it for this guide - special thanks go again to ZaZii and Stravanov for all of their work on the forums, to Bubbalou for thrashing out the personal island laborer project with me, and of course to all of you for reading.